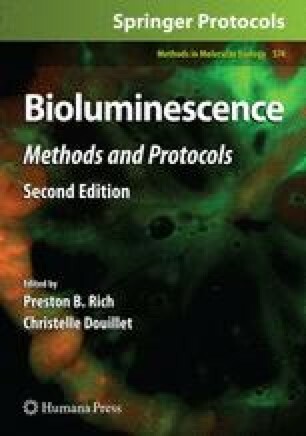 Bioluminescence imaging (BLI) modalities have been developed, refined, and used broadly in the study of small animal models of human biology and disease, including monitoring the fate of transplanted islets in vivo in real time. In order to advance our understanding of the pathophysiology and immunobiology of islet transplantation as they occur in living animals, islet grafts tagged with light-emitting luciferase can be implanted in a mouse islet transplantation model and assessed using in vivo BLI. We have utilized transgenic islets expressing the firefly luciferase as donor islets in syngeneic and allogeneic islet transplant mouse models for monitoring islets in vivo by BLI after they have been transplanted at different sites of the mice, including the intrahepatic site via portal vein injection. The sensitive and non-invasive BLI system allows better understanding of the dynamic fate of transplanted islets and the relationships among the islet mass that ultimately engrafts, the quality of graft function, and overall glucose homeostasis. It permits detection of early changes in islet graft function or mass due to rejection to prompt timely therapeutic intervention and change the fate of the graft. This chapter details some of the procedures for islet isolation, transplantation, and imaging as well as considerations of using the BLI system in the field of islet transplantation research. This work was supported by National Institutes of Health Grant DK063565 (D. B. K.) and the Juvenile Diabetes Research Foundation.